Celebrity chef and Iron Chef seen on the Food Network shows Chopped, Iron Chef America, All Star Family Cook-off, and The Best Thing I Ever Ate who also hosted Alex's Day Off and The Cooking Loft. She is the executive chef at Butter restaurant in NYC and previously held that role at the award-winning The Darby. 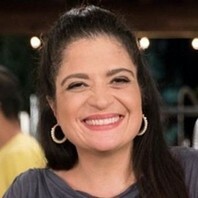 How much is Alex Guarnaschelli worth?